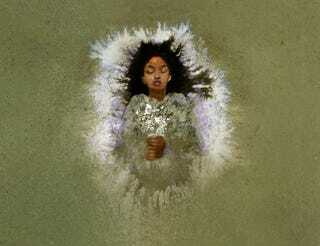 Here's the original concept art for the mural of Rue from The Hunger Games: Catching Fire, by artist Joanna Bush. It's one of the lovely visual touches in the film, and now you can admire it at full size. Plus check out Bush's concept art of the Victor's Village and some grafitti.